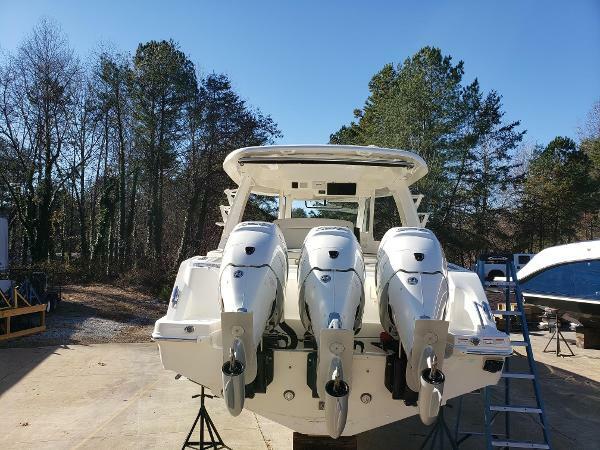 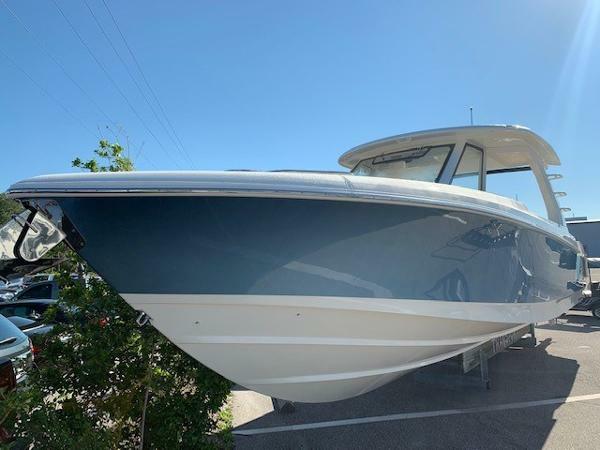 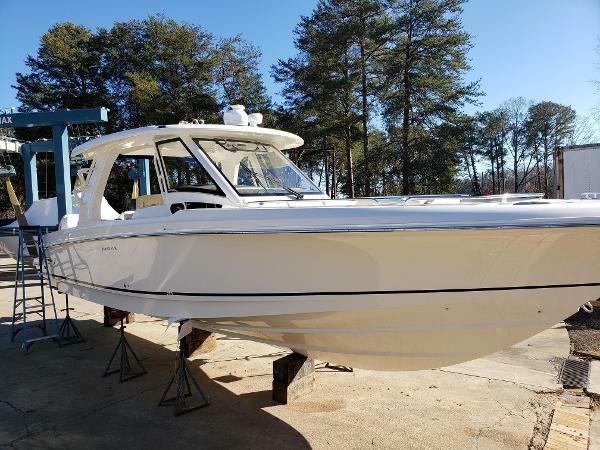 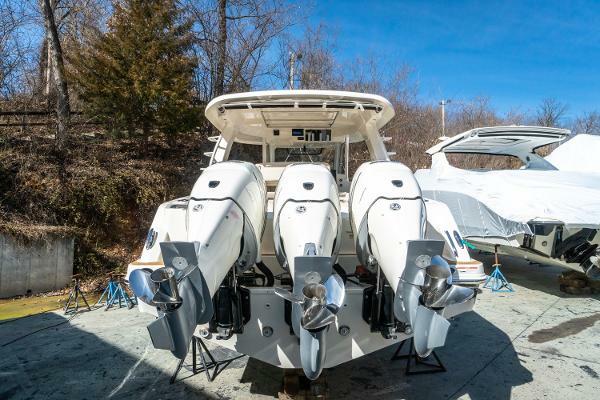 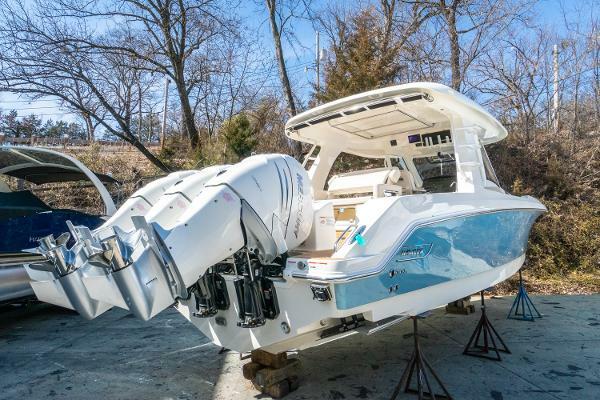 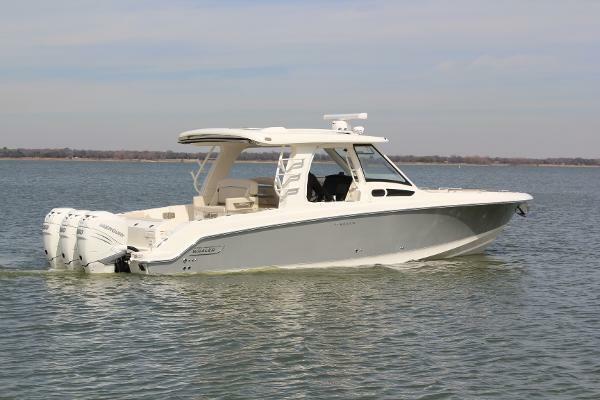 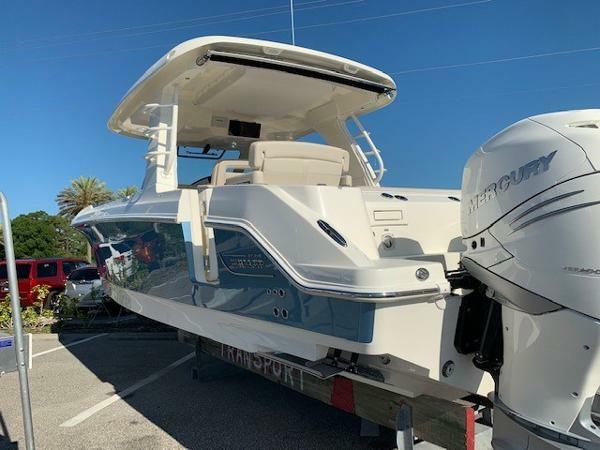 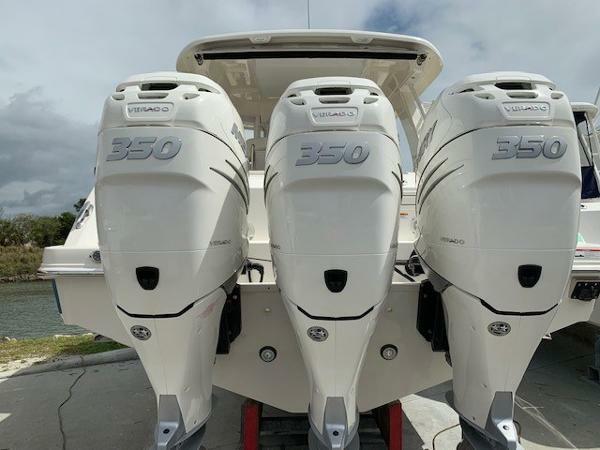 2019 Boston Whaler 350 Realm w/ Triple 350 white Verados w/ bow thruster. 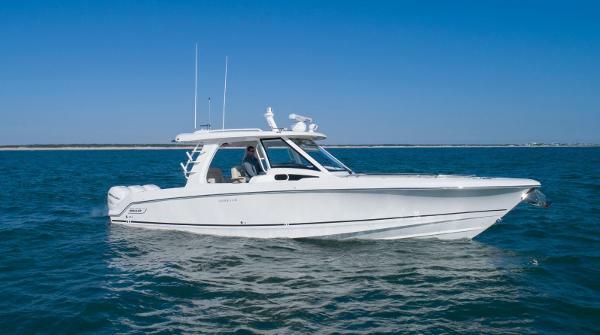 The 350 Realm has been one of Whaler's best sellers. 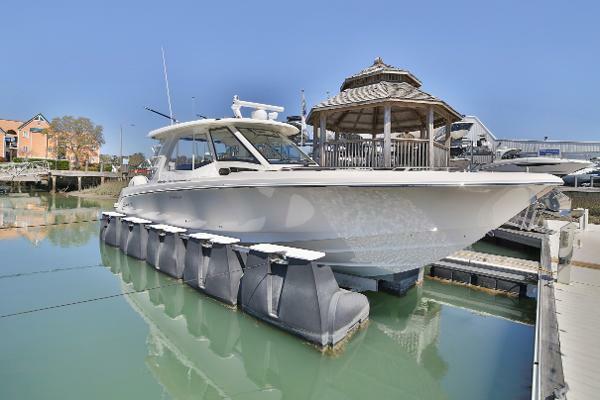 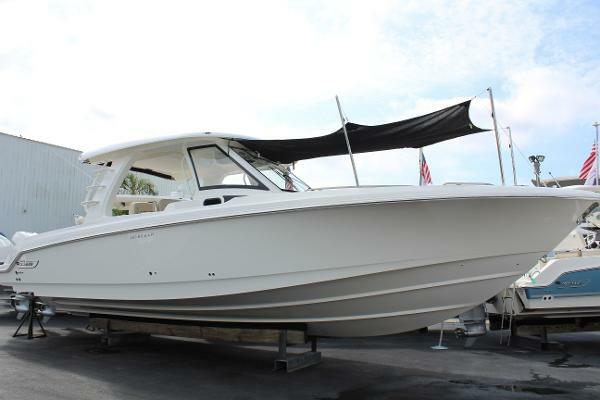 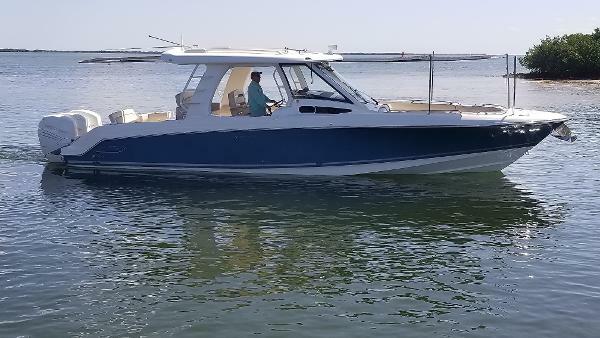 This is a true sport utility offering a beautiful cabin, huge cockpit, plenty of seating and also ready to fish. 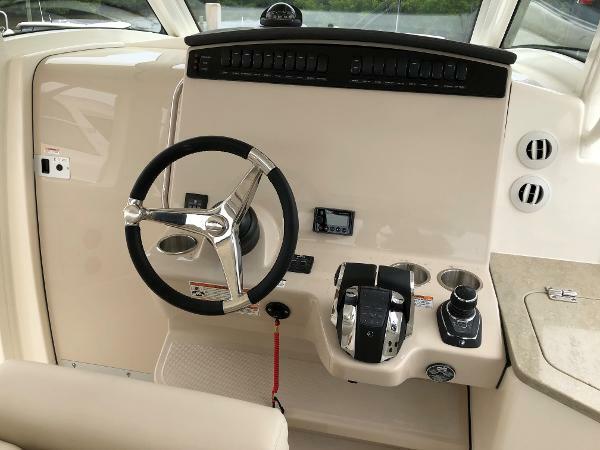 Cruise comfortable at 32 MPH w/ approx. 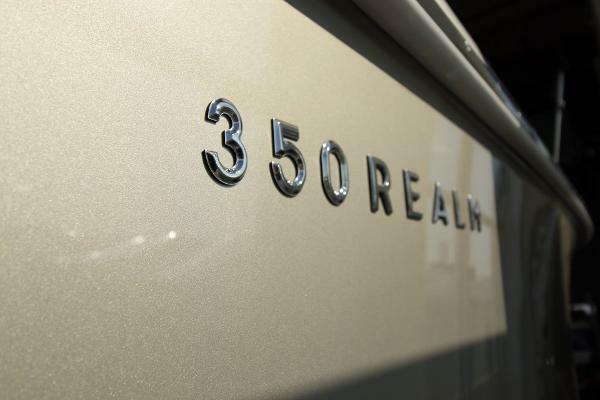 315 mile range & 50 Mph plus top end , if you need to get somewhere quickly. 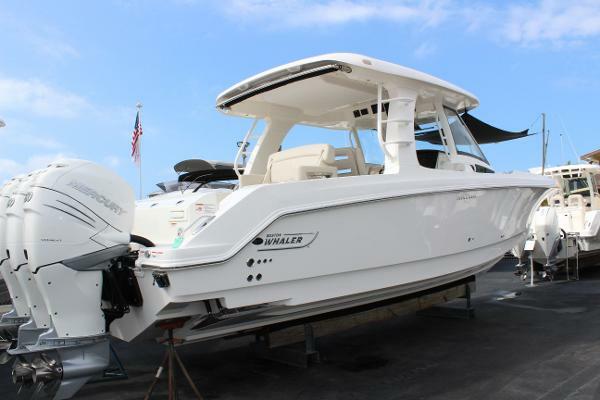 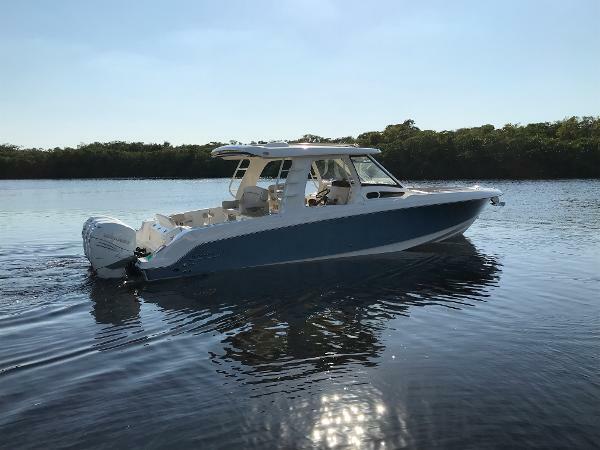 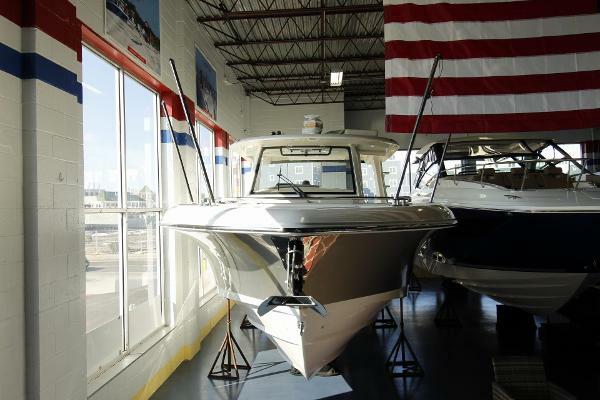 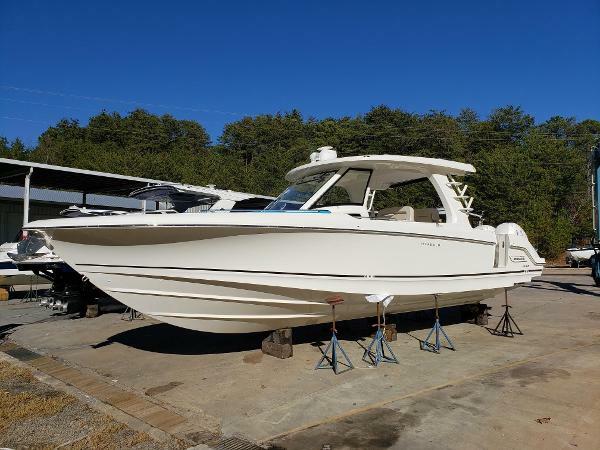 Balance of Whaler's 3 year bow to stern warranty good until: 3/1/2022 Balance of Mercury Verado 3 year warranty good until: 3/1/2022 Notable Factory Options: * Triple Mercury 350 White Verados ($20,485 option) (98 hours) * Horizon Blue w/ Silver graphics ($15,333 option) * White hard top canvas enclosure ($9701 option) * Refrigerated Coils for 23 Qt cooler ($9,478 option) * Underwater LED lights ($6,221 option) * Teak table for bow ($6,047 option) * Aft retractable sunshade ($9,204 option) * Bow sunshade ($1,963 option) * Theft deterrence system - Whaler watch-tracking system w/ GeoFence immobilization & remote boat monitoring($7,216 option) * Full Mooring cover ($3,325 option) * Anchor windlass w/ SS anchor (2577 option) * Engine flush system ($2,236 option) * Premium stereo upgrade ($1,303 option) * Spotlight ($819 option) * Generator (standard) * Bow thruster (standard) * water heater (standard) * Air conditioning (standard) * Dive door (standard) Dealer added: * Garman 7616 16" GPS- plotter * VHF radio Meet the boat that calls to mind cherished memories and empowers exciting new ones: the brilliant 350 Realm. 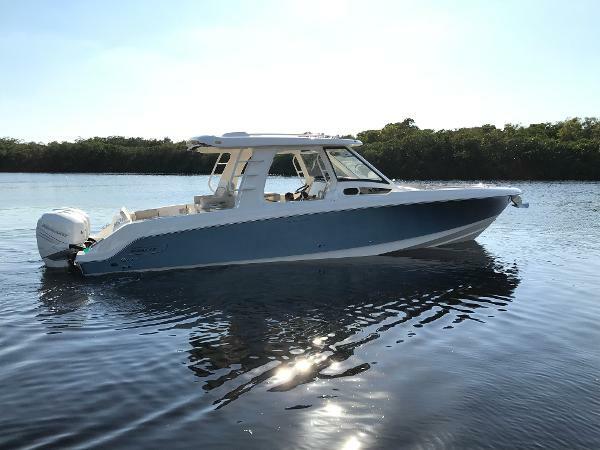 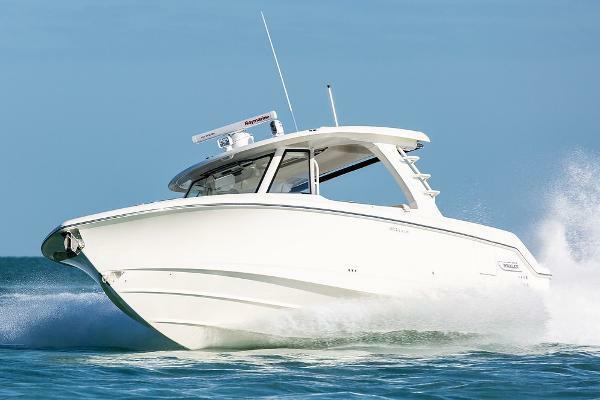 As the first in a new family of Boston Whaler express models, the 350 Realm combines impressive capability with purposeful features and unsurpassed comfort. 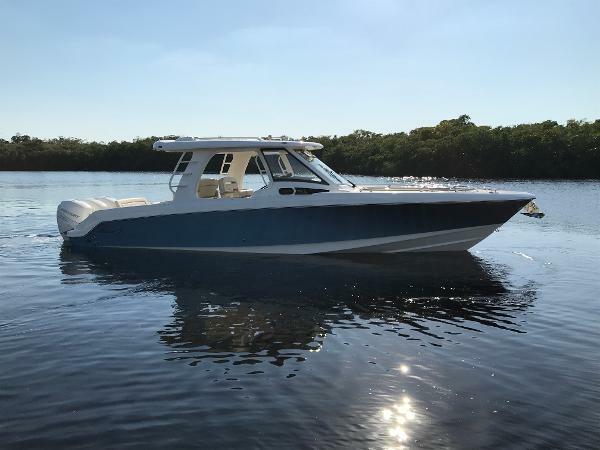 For entertaining friends and family, discovering far-flung islands, chasing deep-sea fish, or spending long days at anchor, the 350 is perfectly suited for any adventure. 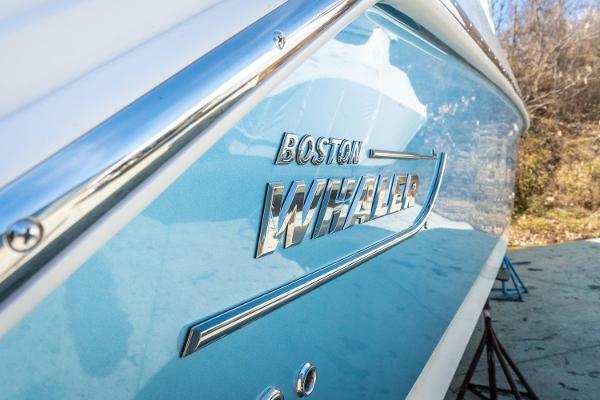 Cutting-edge design ensures mastery of the water, so you can let imagination be your guide. 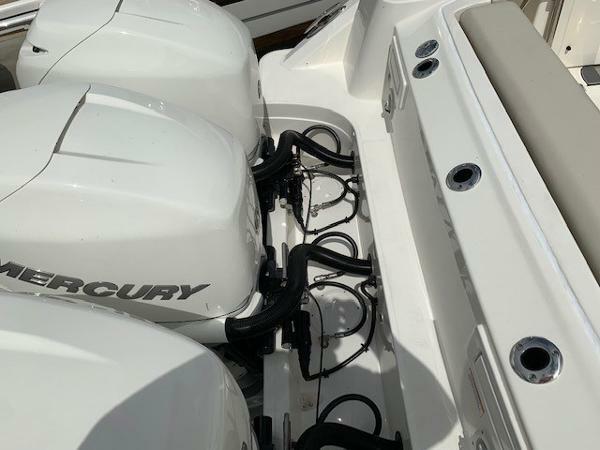 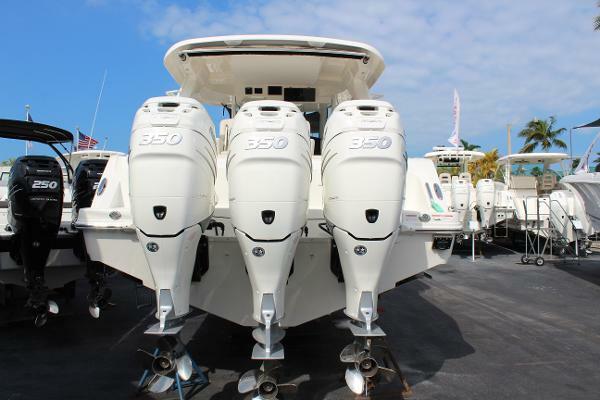 Triple 350-hp Mercury® Verado® engines offer incredible power and precision. 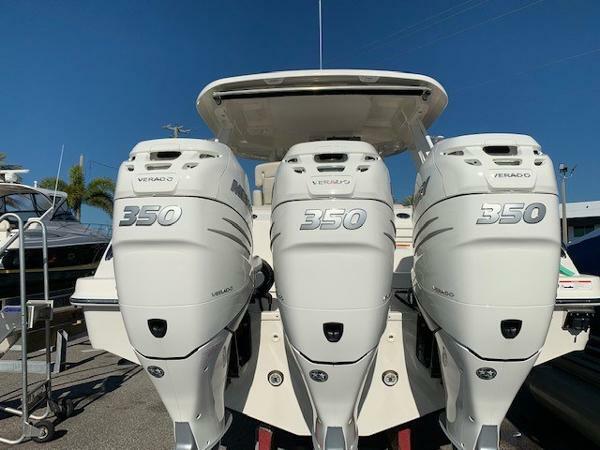 400-gallon fuel tank provides impressive range. 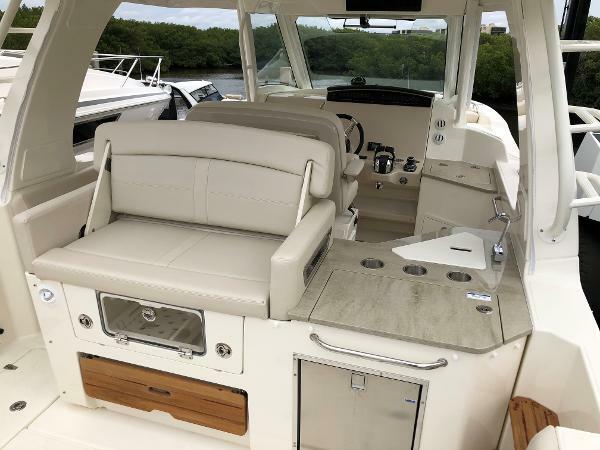 Robust forward console lounge includes fold-down armrests and drink holders, with forward island deck seating opposite. 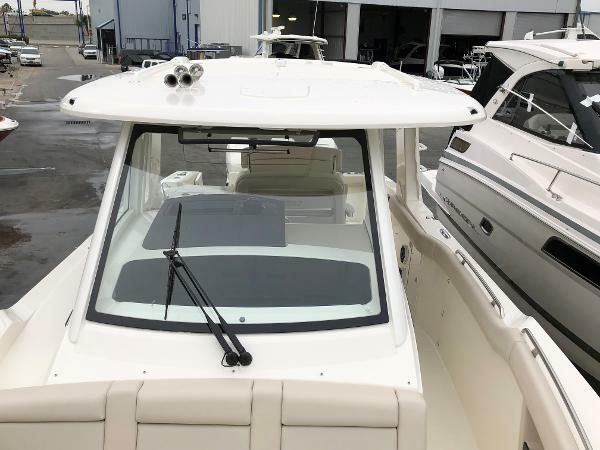 Portside dive/boarding door with removable stainless-steel ladder allows for easier water interaction. 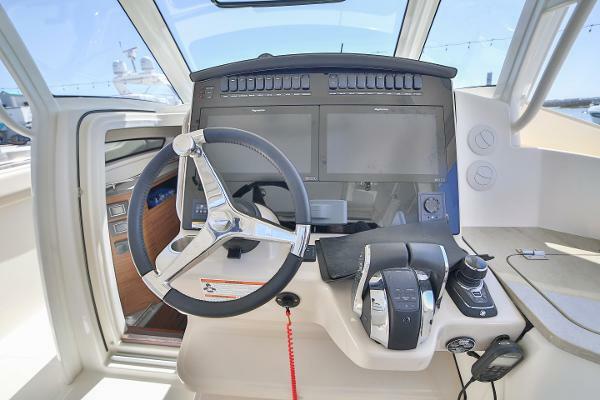 Entertaining-friendly Cockpit Prep Center features a refrigerator, hot & cold freshwater sink, electric grill and more. 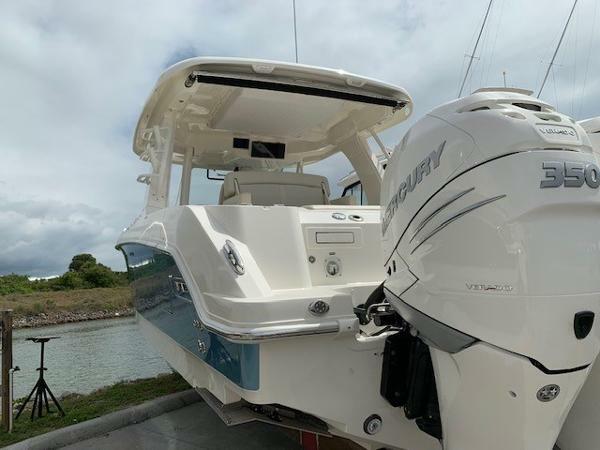 Inviting cabin includes convertible V-berth/seating area and well-equipped head for comfort on long days and overnights. 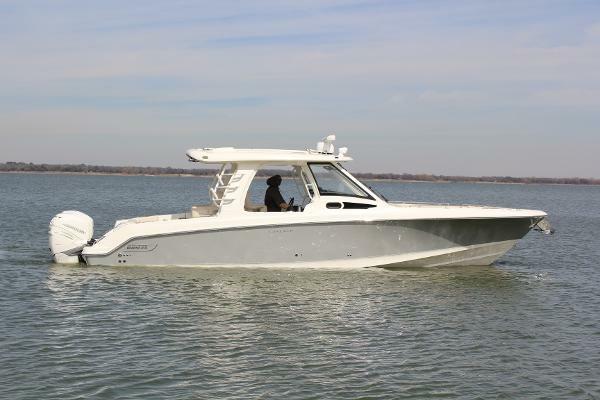 Available with WHALER WATCH featuring Mercury’s Theft Deterrent System (TDS), a telematics tracking system with GeoFence Immobilization, and remote boat monitoring. 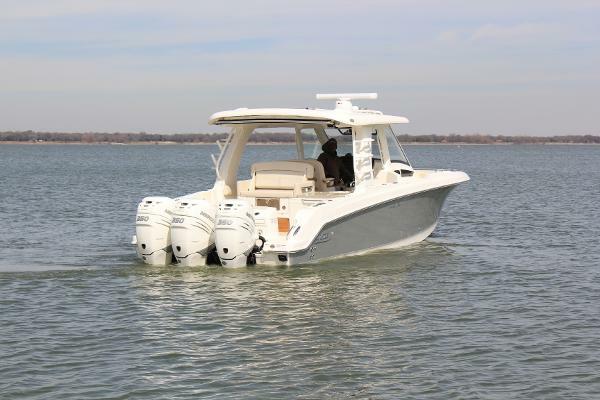 Fishing features include pressurized 15-gallon aft livewell, 2 insulated in-floor fishboxes and available outriggers.